Every weekday morning I switch TV stations back and forth between City's Breakfast TV and the Global Morning News. So imagine how surprised I was when I quickly passed by CBC and noticed what I thought was Daybreak host Mike Finnerty. I circled back and sure enough there he was with the complete Daybreak crew simulcasting their morning radio show between 6 a.m. and 7 a.m. So I was not seeing things. It turns out that this was kind of soft launch of a very novel idea - something that is not uncommon in the United States and is done by some shows here nationally. What a great idea! Because we generally hear them only, radio personalities do not necessarily have to be attired the same way as their TV counterparts. Will that change for the Finnerty crew? It was an interesting dynamic to be sure. Finnerty is a terrific interviewer and for viewers it is really nice to put some faces to names. Starting this Monday, you'll get to go "behind the scenes" on CBC morning radio. 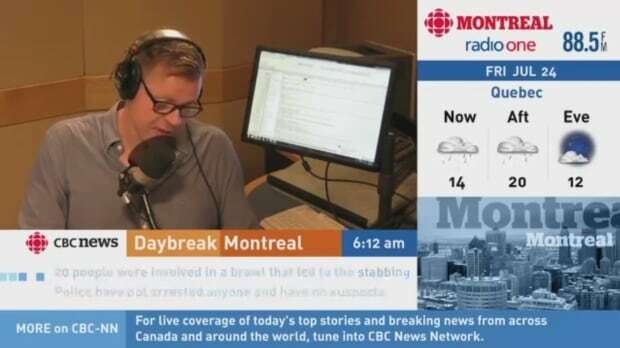 Daybreak, your local morning show, will broadcast between 6 a.m. and 7 a.m. on CBC Television. You'll be able to watch Mike Finnerty and the team as they bring you all the local news, guests and information you need to begin your day in Montreal. Broadcasting Daybreak on television is about giving you, our audience, more ways to find us. This will not replace your experience of listening to Daybreak in the morning. The show will still air from 5:30 a.m. ET to 8:30 a.m. on Radio One. We're simply providing you another way to access the program. You'll see the Daybreak team broadcasting from Studio 20 in La Maison Radio Canada. We'll also provide continuous local headlines and weather on screen. We're using some pretty interesting technology to make this happen. Cameras have been installed throughout the Daybreak studio and control room. These cameras are voice-triggered and follow whoever is speaking at any time. The system works remotely with human intervention, leaving theDaybreak team to do what it does best — make great radio. So this Monday, Aug. 24, you have one more place to tune in to your favourite morning show – CBC Television. You can find Daybreak on CBC Television, CBC Radio (88.5/104.7FM), streaming online atcbc.ca/montreal or on your CBC Radio app. 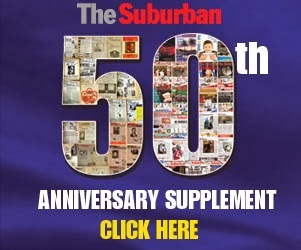 Make sure to check us out and as always, we want to hear from you. To let us know how we're doing, you can email me at shelagh.kinch@cbc.ca or leave a comment.